SF State's talented faculty, students and alumni have created a variety of great gifts for literary fans, music enthusiasts, theater-goers, children and others on the holiday gift list. Fans of cinema, literature and history alike will appreciate "What Ever Happened to Orson Welles" (University Press of Kentucky, 2006), written by Assistant Professor of Cinema Joseph McBride. Challenging general notions of the "Citizen Kane" director's supposed creative decline, McBride gives an inside view of Welles's little-known later period. Assistant professor and award-winning author Peter Orner brings to life stories of post-revolutionary Namibia, Africa, and its people in "The Second Coming of Mavala Shikongo" (Little, Brown and Co., 2006). The book makes a great gift for fiction fans and creative writing students. To give both a cross-cultural and poetic gift for the holidays, consider Matthew Shenoda's poetry collection, "Somewhere Else" (Coffee House Press, 2005). The poet and American Indian studies lecturer won a 2006 American Book Award for "excellence portraying the multicultural diversity of American writing." Looking for a gift to satisfy a jazz, pop, rock, gospel, folk or blues enthusiast? 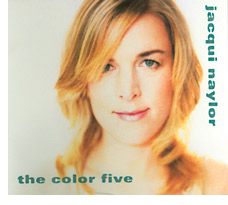 Jacqui Naylor's (B.S., '91) fifth and latest recording, "The Color Five" (Ruby Star Records), features five originals, five covers and five of her trademark "acoustic smashes" -- rock tunes sung over jazz standards or vice versa. 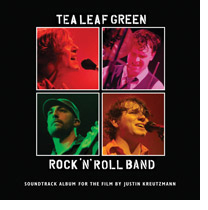 For those shopping for a Gator who enjoys genuine rock 'n' roll, Tea Leaf Green, a rock quartet formed at SF State, recently released a live CD, "Rock ‘n' Roll Band" (SCI Fidelity Records). The group, also known as TLG, performs across the country and has jammed alongside Bob Weir and Dave Matthews. Punk rockers on the gift list will enjoy NOFX's latest album, "Wolves in Wolves' Clothing," from Fat Wreck Chords, owned and operated by Michael "Fat Mike" John Burkett (B.A., '90). His company is known as one of the most successful punk music labels in the country. For those looking for a laugh to start off the new year, the Sixth Annual SF Sketchfest hits the city Jan. 11-28. The legendary series of stand-up, sketch, improv and musical comedy performances is the brainchild of performers David Owen (B.A., '99), Janet Varney (attended '97-'00; '02) and Cole Stratton (B.A., '00), who met at SF State. Tickets to a Word for Word performance will delight the theatergoer on the gift list. Founded by JoAnne Winter (B.A., '96) and Susan Harloe (B.A., '68), the professional theatre company performs short stories, quite literally, word for word. Harloe and Sheila Balter (B.A., '78) perform in "Strangers We Know," a two-part performance of "Mlle. Dias de Corta," a short story by Mavis Gallant, and "Which is More Than I Can Say About Some People," a short story by Lorrie Moore. Tickets can be purchased at www.zspace.org for the Jan. 12-28 performances at the Magic Theatre or the Jan. 31- Feb. 4 shows at the Julia Morgan Center for the Arts. During the holiday break from school children will enjoy watching "Over the Hedge," an animated film that follows a con-artist raccoon, or "Flushed Away," a film set in a world of anthropomorphized sewer rats, both from PDI/DreamWorks. The Redwood City-based studio is led by Academy Award-winner Gloria Borders (B.A., '78). Borders has worked behind the scenes of such films as "Titanic," "Terminator 2," and "Shrek 3," which will be released next year. 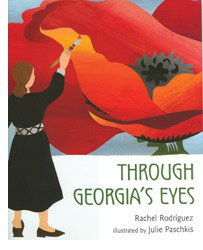 For the young aspiring artist, a great gift is "Through Georgia's Eyes" (Henry Holt and Co., 2006), a children's picture-book biography of legendary artist Georgia O'Keefe, written by Rachel Rodriguez (B.A., '92) and illustrated by Julie Paschkis. The book follows O'Keefe from the Wisconsin meadows of her childhood to the deserts of New Mexico through colorful images and a story intended to captivate the young reader. Delphine Hirasuna (B.A., '68) didn't know much about her mother's history as a prisoner in a Japanese American internment camp during World War II until she discovered a small wooden bird among other wartime trinkets. The find led Hirasuna on a search for other artwork from former internees, culminating in "The Art of Gaman: Arts and Crafts from the Japanese American Internment Camps, 1942-1946" (Ten Speed Press, 2006). Through photographs and stories of these one-of-a-kind art pieces, the book illustrates gaman, the Japanese word for "enduring the seemingly unbearable with patience and dignity." Bring school spirit into the season by shopping at the SF State Bookstore. Consider an alumni coffee mug featuring the school seal, a zip-up SF State hoodie or a Gator beanie knit hat to keep a loved one warm this season. Gift cards are available on the SF State Bookstore Web site. Consider giving a one-of-a-kind gift this season: silk scarves hand-dyed by SF State art students. An SF State Textile Holiday Sale at Berkeley's ACCI Gallery is open through Dec. 24. Students and faculty have also made this a two-way gift by donating 10 percent of the proceeds to a sustainable textiles nonprofit in Guatemala. For hours and directions, visit the ACCI Gallery Web site.